BrightWave and its partners are part of an unprecedented movement where technology, channels and customer relationships converge. 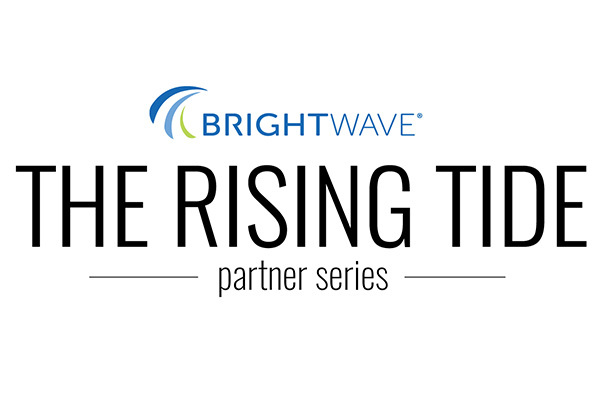 In turn, BrightWave recently launched a new monthly series, The Rising Tide. For an audience of BrightWave employees, The Rising Tide allows its partners to highlight those platforms and people that are part of the industry’s massive wave of data-driven relationship building tools. The series kicked off last week with Cheetah Digital, an enterprise cross-channel marketing software company that provides services expertise to execute complex marketing plans at scale. BrightWave talked all things email with their Head of Content Marketing, Chris Moody. Check out the interview below to find out what Cheetah Digital looks for in a strategic email partner, what excites Chris in the email world and more. How did you get involved in the email industry? I’ve been working in or around email since Angelfire and Netscape were household names. I started building HTML sites and sending email newsletters in high school and haven’t looked back since. Whose email program do you like landing in your inbox? What about it grabs your attention? Stance and Williams Sonoma. Stance because I’m a sock dork and a huge brand advocate for everything they do. Their emails stand out and their messaging is a perfect match for their product. Williams Sonoma’s emails are clean, to the point, and very effective. They make me want to stop what I’m doing and cook or buy something from their store or website with every send. What are you and your clients looking for in a strategic email partner? Marketers need a true partner that is committed to their business outcomes. The difficulty to do effective results-oriented marketing hasn’t been directly correlated to the marketing technology improvements. Many marketers have better tools, and worse results. We’re stretched too thin and can’t always prioritize and track what’s most important in a rapidly evolving industry. I’m seeing a swing back to aligning with companies that have real-life, actual people to help them solve problems. Sure, we still want machine learning and AI, but I also want to have a Zoom call with someone who cares about my business and helps me hit my goals. That’s what marketers deserve today. Companies should actually put them first. What’s the biggest lesson you’ve learned while in the industry? Biggest fail? Don’t chase shiny objects. Email is still one of the top performing channels for marketers, but many have placed more emphasis on new social tools or augmented reality. is email dead returns over 1.2 billion results on Google and we’re seeing clients who make over $1,000,000 per day in purchases directly from email. We need to stop chasing the next big thing and do our jobs better. Email should be a part of every cross-channel marketing strategy. What innovation(s) are you most looking forward to leveraging in the coming year(s)? Actually taking advantage of machine learning and smart algorithms. We have the benefit of several great data scientists here at Cheetah Digital and turning the work that they do into easy-to-replicate features in the product is really exciting. Every marketer needs great data folks, but not every team hires them. Seeing that scale will be fun. What makes BrightWave a critical partner for you and your team? 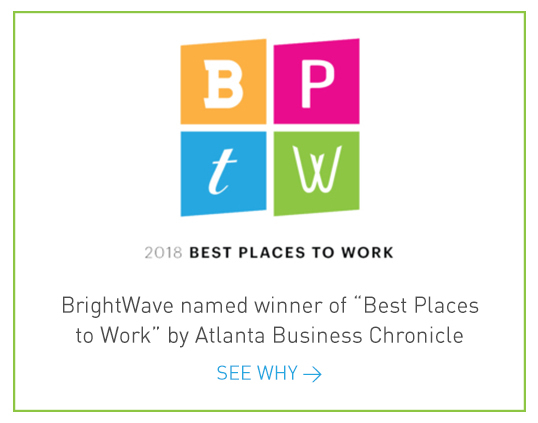 In BrightWave we see many of the same values and philosophies that make our teams tick – a deep and wide knowledge of the subject matter, and focus on desired outcomes. What in the email world have you been the most excited about lately? Bridging online and offline behavior. Combining data from what I do in the store and online gives brands the opportunity to give me exactly what I want – when I want it. Seriously. We’ve talked about that as marketers since the beginning of time, but some brands actually do it now. American Eagle does this really well. I can reserve clothes on their website or app which is usually a click from an email they send. Then I go in the store and my size and style that I selected is waiting for me to try it on and see if it fits. That’s an ideal experience. What is the value of companies investing in their email programs? Making more money and achieving desired business outcomes. Email also makes it easy to deploy loyalty programs to turn customers into advocates. Know when to say no. Prioritization is hard. I’ve had great leaders that beat me over the head to realize that saying no is a good thing, not a bad thing. Build great relationships with everyone, but focus on what is most important for your respective goals. What advice would you give to someone starting in the digital/email world right now? Be a sponge. Every answer to every question is probably freely available online. Consume information, learn, network, and connect with those you admire or want to learn from. Want to learn more about BrightWave’s digital marketing partners and how they can support your email program needs? Then don’t miss Email Spotlight on October 10th. Hosted by BrightWave, this event will bring 20+ partners to differentiate their offerings and where they add value in the customer journey. Registration is free, but these limited spots are filling up quickly. Sign up today or learn more.